What Does An Offshore Banking License Allow? Many people have heard about offshore banking, but not an offshore banking license. So, what is it and what does it permit? An offshore banking license allows the owner to manage a bank in one country that then offers and provides services to depositors who are inhabitants in other countries. The license is granted by the nation in which the bank is administered, which is not inevitably the country in which the holder is either a citizen or a resident. In most cases, these countries have a low or maybe even zero tax rate, which means that depositors can then lower their tax bills by banking there, instead of in their own nation. Many countries, however, still expect their residents to pay tax on their offshore bank account holdings, if, that is, the tax officials can prove such holdings exist. 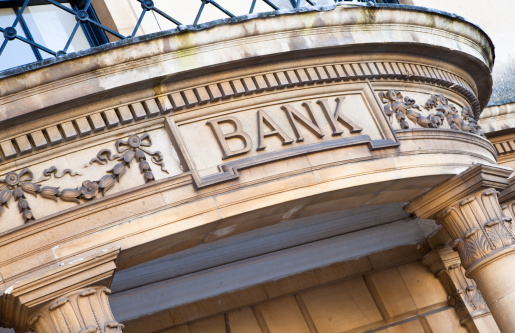 Many holders of an offshore banking license have no interest in operating a bank as such, and don’t want to take any deposits from the public. Instead, they will be looking at operating a bank that continues solely to manage the finances of a company they own and run in their country of residence. This type of set-up may lead to lower taxes and enhanced privacy, with the aid of a company formation Swiss specialist becoming the most popular and favoured. There are two prime kinds of offshore banking license. A general license, usually known as a Class A license, which will allow the holder to carry out unlimited types of banking business. A restricted license, which will limit the holder to only the activities specified in the license. Almost all countries that provide offshore banking licenses will expect both an annual fee and also paid-in capital. The amounts which are involved can vary greatly, although in practically all cases, the paid-in capital is somewhat higher than the annual fee. This fee goes to the country’s government, whilst the paid-in capital is used as the operating payment for the bank and gives a degree of security that the bank will continue to be solvent and operational. An abundant amount of International Companies and Entrepreneurs have chosen to operate in Switzerland for these very reasons and have in some cases chosen to take up the option of obtaining personal residency there. One of the most substantial variations among countries that afford an offshore banking license is the approach they take towards taxation. Countries which provide a “fully compliant” system will coordinate fully with the tax authorities of the countries in which the depositors are located. In the best interests of the client, offshore banking licenses should only be obtained from the relevant government authorities. A number of older licenses include a clause that states that the license can be transferred, which means that they can be sold on to somebody else. However, most countries that issue these licenses have laws halting transfers and such laws supersede any clauses in the license itself. This makes sure that all license holders have to go through the government’s vetting process. Simply follow the rules and the license is yours.